Savannah Blue is the new gem of Detroit. The service was impeccable and the food was fantastic. I can't wait to visit again! SAVANNAHBLUE is a breath of fresh air to the downtown Detroit restaurant scene. The space is warm and inviting, the food is undeniably flavorful and artfully displayed, and the staff is eager and attentive. Don't miss it. We had an AMAZING time with a large group of friends last week, Our friends aren't on FB ,but wanted you to know, " Dining at Savannahblue was an awesome experience for us. The atmosphere was more than we expected. The location and parking is great. The staff was very polite and professional. The chef even took time to come out and greet the guests. The decor was fresh, and lastly, the food was magnificent and the portions exceeded our expectations. You must try this dining experience for yourself. 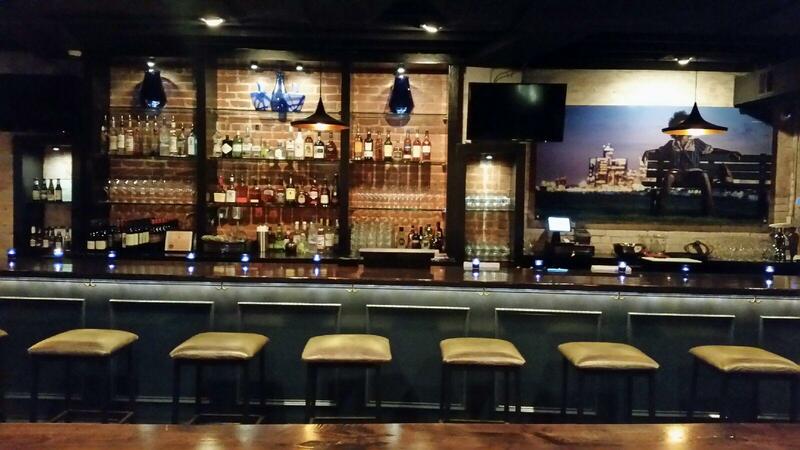 The Warmack's"
Ambiance is everything for me and SavannahBlue does not disappoint. Whether it's date night or your meeting a large party, the atmosphere is amazing. The staff help in creating an inviting climate and relaxing mood. To top it off the food is amazing, adding some contemporary "swag" to some of your favorite dishes. I definitely plan to dine here again! The music and ambiance, along with the food and service were amazing. Especially loved the roasted sweet potato bisque which was exquisite, as were the crab cakes and shrimp cocktail pasta, which we are having again for lunch today. Say "hi" to Perry the bartender, who was wonderful. Thor, Ron and everyone at SavannahBlue deserve high marks for this five star restaurant. Food was so good we had to come back after our event for more wine and dessert. Generous helpings too! My Husband and I met a large group of friends there last night. This place is both posh and swank. The ambiance is beautiful! Not to mention the food and service was great. Everyone is very attentive. We loved the entrees and the deserts. OMG that Bananas Fosters Bread Pudding was delicious. Melted in my mouth. This will be a date night hang out for us for sure. We love it! My husband and I went last night for date night, and we will definitely be back. There was a long wait for the dining area, so we chose to eat at the bar; I'm glad we did because the bartenders provided amazing service, good music was playing, and we were able to meet cool people sitting nearby. We had the crab cake appetizer, shrimp and grits, dry rub wings, and catfish. Everything was delicious. The crab cake was so meaty--not filled with a bunch of breading, and the shrimp and grits were rich with flavor.